Join MTM and Ride Right at the SWTA Freedom through Transit Conference - MTM, Inc. In partnership with our affiliate Ride Right, MTM is excited to exhibit at this year’s South West Transit Association (SWTA) Freedom through Transit Conference. 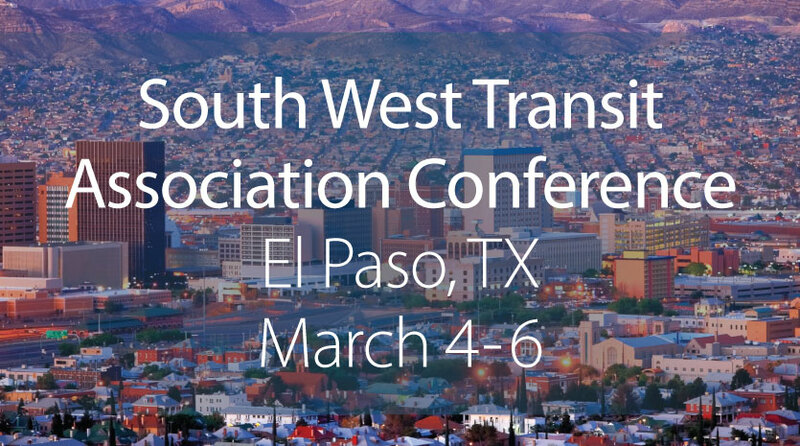 If you’re planning to attend the three-day conference in El Paso, make sure to stop by our booth to learn why MTM and Ride Right are the best partners for transit services in the southwest region and beyond. While you’re there, don’t miss our Senior Director of Functional Assessments and Travel Training Sean Powers leading an engaging discussion on Controlling Paratransit Costs through Eligibility Assessments. If your agency is looking for options for your paratransit eligibility determination process, this session will give you the knowledge you need as you weigh the pros and cons of functional assessments vs. paper-based assessments. Catch this engaging discussion on March 4 from 1:30 p.m. – 2:30 p.m. Click here to view the full conference agenda. About: SWTA is a regional transit association serving eight states: Arizona, Arkansas, Colorado, Kansas, Louisiana, Oklahoma, New Mexico, and Texas. Every year, the organization’s Freedom through Transit Conference—the region’s most comprehensive transit conference—brings its multi-state membership together to explore educational opportunities and trends in the transit space. Hear from notable industry leaders. See the latest transit technology. Know transit’s challenges and visionary solutions. Enjoy time with friends!